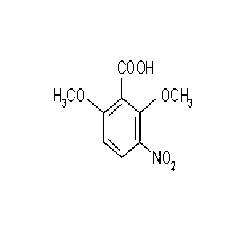 We offer 2,6-Dimethoxy-3-nitrobenzoic Acid. We have a state-of-the-art processing facility, which helps us in formulating all our chemicals & acids at par with international quality standards and norms. All these are processed under the hygienic and clean environment to ensure their safety and purity. Further, all these are checked and tested by our team of quality controllers to ensure flawlessness.